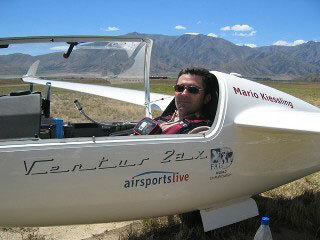 A new World Sailplane Grand Prix Champion will be declared after the exciting World Final on 20 January. This is the 8th FAI Sailplane Grand Prix final to take place since 2005 and the second FAI/SGP final to be held at Vitacura, a spectacular setting close to the city of Santiago, Chile in the foothills of the Andes Mountains. The beautiful mountainous terrain will test the competitors with challenging flying over the Andes and excellent conditions for racing in sailplanes. Sailplane racing in such conditions favour particular skills and techniques. To achieve a podium position pilots competing in this final will have to adapt quickly to the conditions and apply the correct tactics to stand any chance of a top result. 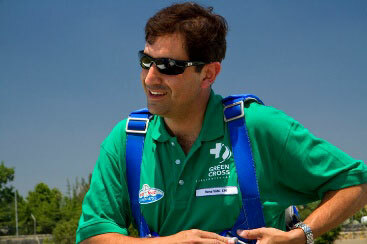 In addition to the two local pilots there are several pilots with knowledge of the region gained from participating in the previous SGP final held in 2010. Twenty top pilots will grid on the first race day including three previous World Sailplane Grand Prix champions, Kawa, Hauss and Galetto. Such a talented group of pilots coming together to compete for the coveted title of Sailplane Grand Prix World Champion will ensure some close and competitive racing. Of course the rest of the competitors will be pushing hard to win their first title and will ensure the winner will be a very deserving pilot. 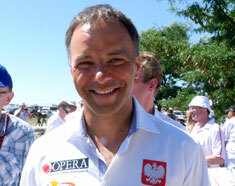 Considering previous form the favourite has to be Sebastian Kawa from Poland, (Seb as he is known to his fellow competitors) has been crowned three times SGP World Champion and has won no less than 8 World Gliding Championships. With such a remarkable past one would expect him to be way ahead of the rest of the field but his most recent two SGP World Championships have been without a win. Serious contenders for top places must be Didier Hauss from France and Mario Kiessling from Germany. Didier was the SGP World Champion in France in 2014 on his own home ground but does not have much experience of the Andes region. Mario put in a top performance in the 2010 SGP final in Chile finishing in a very impressive 3rd place. Of the two local pilots from Chile Carlos Rocca has the better track record but he is not flying a particularly competitive machine which must reduce his chances of a top place. Rene Vidal who flies from Vitacura is often very highly placed in local races but does not have much International experience. He is flying a very competitive Ventus 3 and his preparation and focus for this event may well bridge the experience gap and help him into a top place. There are several participants with experience from previous SGP finals who excelled in the 2017 National SGP finals and are certainly capable of a surprise result. Boštjan Pristavec from Slovenia, Tilo Holighaus from Germany and Werner Amann from Austria are all exceptional mountain pilots with competitive gliders who could offer up a surprise or two. SGP Final debutants, Jon Gatfield from the UK, Mark Tingey from New Zealand, Tom Kelley from the USA and Klaus Kalmbach from Germany will have to learn quickly how to compete in this terrain and step up their game to stay out of the zero points club if they are to stand any chance to make it to the podium. The SGP media team will publish on the www.sgp.aero event site interviews with the pilots and highlights of each days racing as well as photos and videos of the action around Santiago during the final.